I have been commissioned to make some cards for a company that sells to police officers/firefighters/emt. Yay me!!! 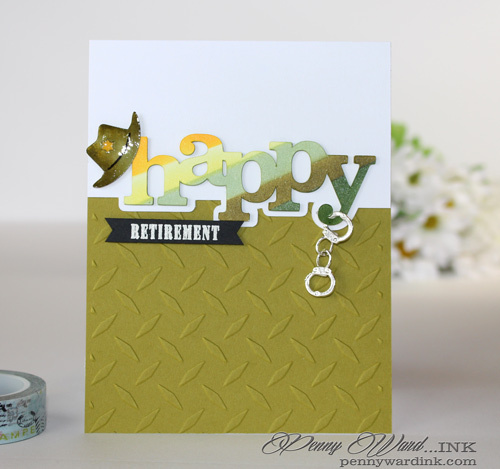 Today I have a fun retirement card for someone who is completing their tour at the Sheriff's Department. I originally made the card with a bus cap hanging off the sentiment. After showing it to my police sergeant husband, he informed me the hat was all wrong for that kind of law enforcement ...who knew?!? So I googled it like any respectable investigator would do, and it turns out he is right...I hate that! In making the card I die cut the "happy" 3 times, stacked and adhered together, then eBrushed with Copic markers. Hat was die cut with Silhouette Cameo, colored and coated with Pico Shimmer. across the middle and the ribbon hanging down. Deanne @ Three Trees - click her name...great blog! 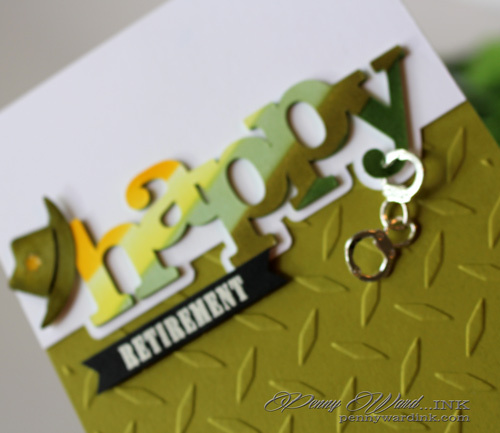 Penny this is the perfect retirement card for a guy Love the embossing. Wishing you a wonderful weekend. I am in love with this card.. I really like the colors of the sentiment and lets not talk about how awesome that hat is!! 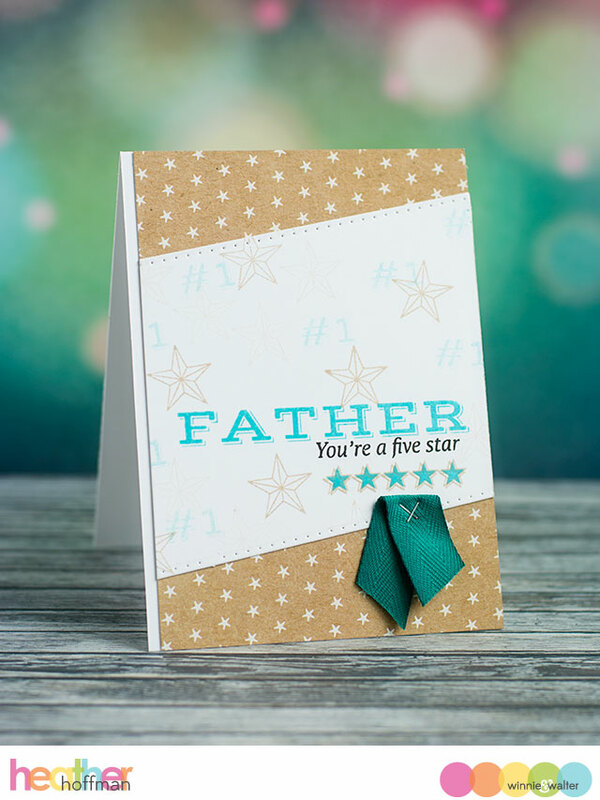 This card does it all, style, design and the Wow factor that I dream of achieving!! A perfect card for the occasion! Love how you worked on the 'happy' - and who would have known there are tiny handcuffs like these?! This is totally cool and you have really been clever and creative with this one!!! Love it!! ANd good on you for being commissioned to do this type of cards!! This is the COOLEST card ever! Love all the small details you included!